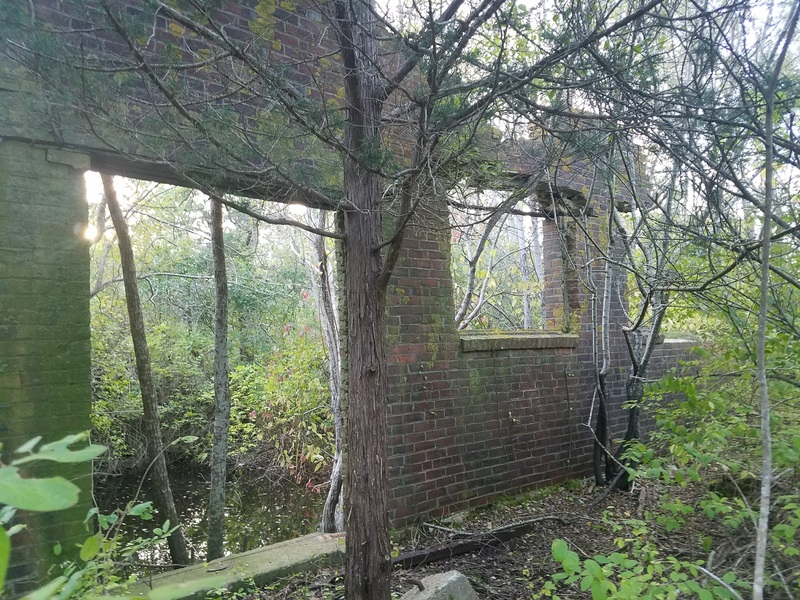 A walk down the railroad tracks and some bushwacking are all it takes to find the 80-year-old ruins of the West Barnstable Brick Company. I had been told of there existence by a friend of mine who hunts and had stumbled across them. He had described them as “something out of the Jungle Book” and when I found them I half expected to meet king Louey. Access can be gained by parking where the railroad tracks cross 6A just east of West Barnstable village and walking east next to the tracks. The location is on the Adventure Map , eventually, a small game trail goes into the woods to the north giving access through the undergrowth. The location is massively overgrown so you cant see the walls till you are on them and there is a second site with a basement that I almost fell into before I saw it. As you can see in the video broken bricks and old machinery litter the site. There is a great blog post about the history of the company over at http://brickcollecting.com/cape.htm. The trail is tight the ground is swampy the ticks and poison ivy are plentiful but the adventure is worth it. 80-year-old ruins in this environment are far and few between, if you chose to find them please respect them. Take only photographs leave only footprints and let me know if you find it. Previous Spruce Hill, A Hidden Beach On The Bay.